A Self Invested Personal Pension, or simply a SIPP, is a financial retirement plan that allows you to choose your own investments rather than using a traditional pension fund. Although they have been around for the best part of two decades, SIPPs are becoming more widespread in the UK. While using a traditional pension fund manager is potentially the safer option, if you feel that you would be better off taking control of your retirement plan, then a SIPP might be for you. In our Best SIPP Providers for the UK guide, we’ll start by giving you a comprehensive over of what a SIPP actually is, how they work, and what risks you need to be made aware of. If you then decide that you want to take the next step, we’ll discuss some of the best SIPP providers currently operating in the UK, alongside a full overview of their fees. Let’s start by exploring what a SIPP is. 1 What is a SIPP? 2 What Investments Does a SIPP Permit? 3 How much do I Need to Invest in to a SIPP? 4 When can I get my SIPP funds out? 5 Is it Risky to Invest in a SIPP? 6 SIPP Providers for the UK: What are the Fees? 12 Best SIPP Providers for the UK – The Verdict? In its most basic form, a SIPP is a pension-related investment plan that allows you to make your own investment choices. Traditionally, when we allocate funds into a pension fund, a fund manager will make investment decisions on your behalf. Over the course of time, not only are they tasked with protecting your wealth from the threats of inflation, but they’ll also attempt to grow your money by making low-risk investments. SIPPs are completely different in this respect, as you’ll be responsible for making all of the decisions yourself. As such, it is highly advisable that you have a firm grasp of the investment space. In terms of the fundamentals, SIPPs operate in a similar manner to a standard personal pension pot. As such, you’ll be accustomed to tax-efficient savings that you would not get via a standard investment plan. Although these tax benefits will vary depending on your individual circumstances, the general rule of thumb is that for everything you pay in to your SIPP, the government will pay in an additional 20% in pension tax relief. For example, if you’re a basic-rate taxpayer and you invested £800 every month, the government would top this up to £1,000. Moreover, once your money has been invested you can earn income without having to pay dividends or capital gains tax. In terms of how much you can invest in to a SIPP each year, this is capped at 100% of your annual salary, up to £40,000. If you’re not currently in employment, you can pay up to £2,880 in to your SIPP account and still benefit from the government top-up of 20%. Just remember, you’ll need to be under the age of 75 to invest in a SIPP, and as is the case with conventional personal pensions, you usually can’t withdraw your money out until you turn 55. A further benefit to using a SIPP over a traditional pension fund is that you have a lot more freedom as to what you can invest in. We’ll cover this below. What Investments Does a SIPP Permit? When you go through a traditional pension fund, you’ll likely have your investments placed in to a low-risk fund. In fact, you’re extremely limited to what you can invest in when going through a personal pension, as per UK law. In reality, the only mainstream investment channel that you can’t invest in via a SIPP, but you can with a traditional personal pension, is that of insurance company funds. How much do I Need to Invest in to a SIPP? The great thing about SIPPs is that you have the option of injecting a lump sum, doing regular monthly payments, or a combination of the two. If you’re still young and you’re planning to invest over the course of the next 20 years of more, then you’re best off investing regular amounts at the end of each month. This will also allow you to ride-out any market corrections that you’re almost certainly going to experience along the way. Even if you can only afford small amounts on a monthly basis, you need to view a SIPP account as a long-term investment. As such, over the course of time you will benefit from capital gains and in some cases, periodic dividends. Before you sign up to a SIPP provider, just make sure you check out what their minimum terms are. Regardless of whether you invest a lump sum or pay regular amounts each month, most providers will specify a minimum investment. When can I get my SIPP funds out? Much like in the case of a personal pension, in the vast majority of cases you won’t be able to start withdrawing funds from your SIPP account until you reach the age of 55. It is also important to note that when you do make a withdrawal, only the first 25% of the funds taken out will be tax free. Everything else is taxed at your current tax rate. For example, if your SIPP account was worth £200,000 and you decided to withdraw £40,000 out, then the first £10,000 would be tax-free. You’d then pay tax on the remaining £30,000. This would be the case for each subsequent withdrawal your make. As such, unless you have a significant amount of capital in your SIPP account, or alternative income available, taking money out at the age of 55 is potentially too early. As SIPPs are financial products designed for your later years in life, it is also important to briefly mention what happens to the funds should you die before they are withdrawn. Essentially, if you die before the age of 75, then your beneficiaries will receive the entire SIPP account as a tax-free lump sum. If you die after the age of 75, then the rules are somewhat different. Your beneficiary can either take the entire SIPP fund in one lump sum, take regular income payments or take periodic lump sums. Whichever of the three options your beneficiary takes, the funds will be treated as standard income and thus, they’ll need to pay tax on it. So now that you know when you can withdraw your SIPP funds out, in the next section we will discuss some of the risks that you need to be made aware of. Is it Risky to Invest in a SIPP? The simple answer to this question is that by choosing a SIPP over a traditional personal pension, your risks are indeed higher. Don’t forget, you’re essentially engaging in a do-it-you-self investment plan. Other than the previously mentioned tax-efficient benefits that you will receive from the UK government, there really isn’t much difference between a SIPP and a conventional investment portfolio. As such, there is no guarantee that you will grow your money amy faster than a personal pension, if at all. This is why SIPPs are generally best suited to those that have experience in the financial investment space. If you are completely new to investing, and you still want to go ahead with a SIPP, then it’s probably best that you stick with low-risk funds. This is where you entrust your money with one or more fund managers who manage your investments on your behalf. Although this might sound similar to a traditional personal pension, SIPPs give you full control over which funds you invest in. Furthermore, you have the option of switching funds at a later date, or adding new funds in to your SIPP portfolio. It is also important that you understand the risks associated with a SIPP provider seizing to exist. Firstly, the provider is merely a third party between you and your chosen investments. As such, even if they went bust, you should still be protected as the underlying assets are still owned by you. If you inject cash in to a SIPP provider, then this isn’t necessarily the case. In most cases, if the SIPP provider holds your cash in a UK bank, and they fail, then your funds should be protected up to £85,000, as per the FCSC scheme. Ultimately, while on the one hand SIPPs should be treated in the same light as traditional investment plans, an extra degree of caution should always be taken. Any investments that you make via a SIPP are there to provide you with financial security during your retirement. As such, it is fundamental that you have a full understanding of the underlying risks. So now that we’ve covered the risks, in the next section of our guide we are going to explore the fees that you are likely to encounter when going through a UK SIPP provider. SIPP Providers for the UK: What are the Fees? Although injecting capital into a SIPP account will allow you to make tax-efficient savings, you are still going to need to pay fees. This is because the SIPP provider in question is essentially a third party broker, and thus, they still need to charge for the services they provide. Fees can come in a range of shapes and sizes, so we’ve listed some of the most pertinent charges that you need to look out for. Set up fees: Due to the competitiveness of the third party SIPP sector, many providers do not charge set up fees when you go through the account opening process. However, some do, so you’ll need to keep an eye out for this. If your chosen provider does charge set up fees, then this can be upto a few hundred pounds. Dealing charges: When it comes to buying and selling your investments of choice, it is highly likely that you’ll need to pay dealing charges. This is normally in the form of a fixed flat-fee, or a percentage of the amount you trade. Some providers actually allow you to make unlimited free trades, and instead charge a monthly or annual fee. Whether or not this is viable for you will depend on the amounts you are investing, as well as the frequency at which you are planning to trade. Annual maintenance: A lot of SIPP providers will charge you an annual maintenance fee for facilitating your account. This is usually charged as a percentage against the total amount of funds you have within the SIPP. Don’t forget, if you decide to invest in a fund via your SIPP account, it is highly likely that you’ll need to pay the fund manager an annual fee too. Transfering to another provider: If in the future you decide that you want to use another SIPP provider, then you’ll need to transfer your current holdings across. While some SIPP providers allow you to do this for free, many will charge you a fee. Some providers even charge you a fee for each investment that you hold. If this isn’t capped, then it can start to eat away at any gains you have previously made. If you’ve read our guide up to this point, you should now have a good idea of what a SIPP is, how they work, the underlying risks, and what fees you should be made aware of. If you want to proceed with a SIPP account for your retirement plan, then we have listed some of the most notable providers below. Hargreaves Lansdown are one of the most reputable stock brokers in the UK investment space. Their highly comprehensive platform offers an extensive range of assets to invest in, which subsequently gives you the flexibility to diversify your portfolio. Moreover, Hargreaves Lansdown are one of the best SIPP providers in the UK for research. 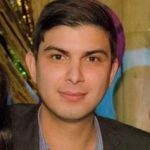 They provide up-to-date analysis on most of the stocks and shares listed on their platform, which is great if you’re new to investing. In terms of the SIPP account itself, Hargreaves Lansdown do not charge any annual maintenance fees, however there are fees to pay on your actual investments. Everytime you buy or sell stocks and shares, you’ll pay up to £11.95 per trade. This can be reduced to £5.95, however you’ll need to trade at least 20 times per month. On top of this, you’ll also need to pay an annual fee of 0.45% on all of your stocks and shares holdings, although this is capped at £20. 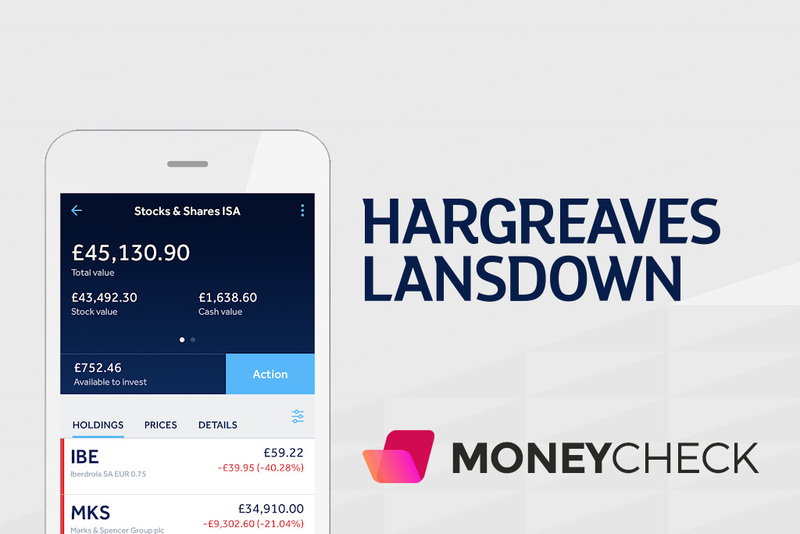 Buying and selling funds via Hargreaves https://moneycheck.com/out/hlLansdown is free, however you’ll still need to pay an annual fee of 0.45% for the first £250,000 invested. This is reduced to 0.25% and 0.10% for everything over £250,000 and £1 million, respectively. Finally, Hargreaves Lansdown charge a transfer-out fee of £25 per holding, which can add up if you have a diverse portfolio of investments. Fidelity is a global player in the investment fund space, with more than 240 funds in operation across multiple risk levels. If you’re interested in investing in one or more Fidelity funds, then it might be worth going direct. Firstly, Fidelity will cover any transfer-out fees from your previous SIPP provider up to £500. You’ll be required to invest a lump sum of at least £800 to get started, or commit to a monthly payment of £40. In terms of fees, Fidelity ony charge 0.35% to operate a SIPP account, and this is reduced further when you hold at least £250,000. However, you’ll also need to pay an annual charge for the specific Fidelity fund you invest in, which varies from fund-to-fund. The great thing about going the Fidelity route is that you get to choose what funds you want to invest in, and generally speaking, their funds perform very well. The platform itself has an excellent number of market insights and research tools, and if you’re ever unsure you can call the UK freephone number. Take note, some Fidelity funds carry more risk than others, especially those that target the emerging markets. As such, you’re better of diversifying your fund portfolio, rather than putting all of your eggs in to one basket. If you’re looking to invest a large lump sum of at least £50,000, either directly or by transferring funds in from another SIPP provider, then Interactive Investor are of excellent value. In a nutshell, the provider charges an annual flat fee of £100 (+VAT) for facilitating your SIPP account. When comparing this with other leading SIPP providers that charge a more conventional annual fee, this only works out as a competitive option if you’re prepared to invest at least £50,000. On top of the annual charge, you also need to pay £22.50 every three months, however this is returned as credit, meaning you can use it cover trading costs. In terms of actual trading fees, Interactive Investor charge a flat fee of £10 per trade, which can be reduced to £6 if you trade regularly. This is charged on fund investments, as well as stocks and shares. If at any point you decide that you no longer want to use Interactive Investor, the provider does not charge anything to withdraw your funds out. If you’re looking for a competitively priced SIPP provider, but not looking to invest a lump sum of £50,000 or more , then you might want to consider AJ Bell. In terms of the fees, you’ll generally have to pay on two seperate fronts. Firstly, AJ Bell charge an annual fee of 0.25% for both funds and shares. This fee is capped to £25 per quarter with shares. The annual fee for holding funds can be reduced to 0.10% if you hold more than £250,000, or 0.05% for everything over £1 million. On top of this, you’ll also need to pay AJ Bell £1.50 for every fund trade you make, which is very competitive. Buying and selling shares will cost you £9.95 per trade, or £4.95 if you placed 10 or more trades in the previous month. As such, AJ Bell is best suited if you are looking to trade regularly, as at £9.95 per trade, this is quite expensive. In terms of transferring your funds across to another SIPP provider, AJ Bell charge £25 per holding. Once again, this isn’t capped, so a portfolio that contains a significant number of shares could end up costing you quite a bit. Best SIPP Providers for the UK – The Verdict? Deciding whether or not a SIPP account is a good idea will ultimately depend on your individual circumstances. Regardless of whether you hold your money in a traditional personal pension or a SIPP, you’ll still be attributable to the same tax-efficient savings. However, the key difference is that a SIPP account will give you the freedom to choose your own investments. As such, if you don’t have much experience in the investment arena, then you might be best sticking with a personal pension, as at least your funds will be managed on your behalf. However, if you want to take full control of your retirement investment plan, then a SIPP is an excellent option for your needs. Just make sure that you have a full understanding of the fees charges by the SIPP provider in question, both in terms of annual fees, dealing charges and transfer-out fees. Not only this, but you also need to check what the minimum investment amounts are. This is especially pertinent if you’re only looking to invest a small amount at the end of each month. Finally, don’t forget that there is never any guarantee that your investment strategy will be a success. Just like in the case of any other investment portfolio, SIPP accounts can both make and lose money, so be aware of the risks.